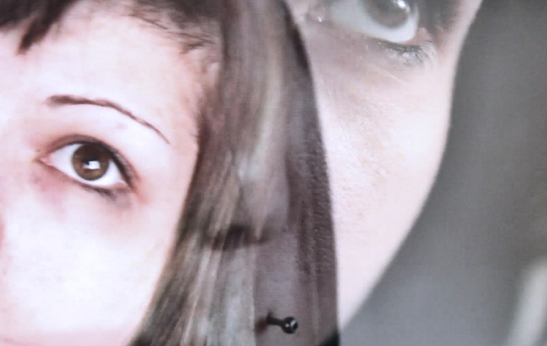 I am a feminist multi-media artist working primarily in video, photography, and installation. My work uses various techniques of juxtaposition, layering, and textually to explore and raise questions on gender, queer space, mixed-race identities and gendered violence. Deeply tied to my academic research on the intersection between materiality, affect, and feminist theory, my most recent work centers on the material agency of queer bathroom graffiti and its affective capacity to alter space and time. In residence, I will create a multi-media artwork, which will include video, still-images, and found objects, and culminate in an installation piece. The conceptual framework of the piece will explore the false dichotomy between human and non-human bodies. Guiding the project, I ask how various “marked” and “unmarked” bodies including queer, racialized, gendered, and disabled bodies interact with non-human objects to become either visible or invisible. This is to question and challenge the notion of fixed identities, the inertness of objects, and anthropocentric ideas of human agency. Andie Shabbar holds an M.A. in Communication and Culture from the joint graduate program at York and Ryerson Universities and is currently a second year Ph.D. student in the department of Women’s Studies and Feminist Research at the University of Western Ontario. Andie also works professionally as a freelance writer, graphic designer, and event photographer.